We started Untitled Kingdom in Great Britain, namely London, but then, seeing many business opportunities connected with Eastern Europe market of IT services and products outsourcing and unique startup-friendly vibe in one the most famous polish citites - Cracow - we decided to move our HQ there. But we're still doing the same. We keep up with great work of programming, designing and developing mobile apps. While our great love is iOS, the scope of our focus includes also Android as well as Ruby. What makes us outstanding is our holistic and thorough way of looking at mobile app development and working with it. The process starts with planning, then moving on to design - and at this moment we're assuming UX perspective, breaking down parts of user experience into user stories. During all the process - programming, development and, in the end, finally, marketing (a big part what is app store optimization), we are thinking about how users think. Plus, we offer warranty - among our development services there is a constant care of you app, when it's finally in the app store , generating revenue. 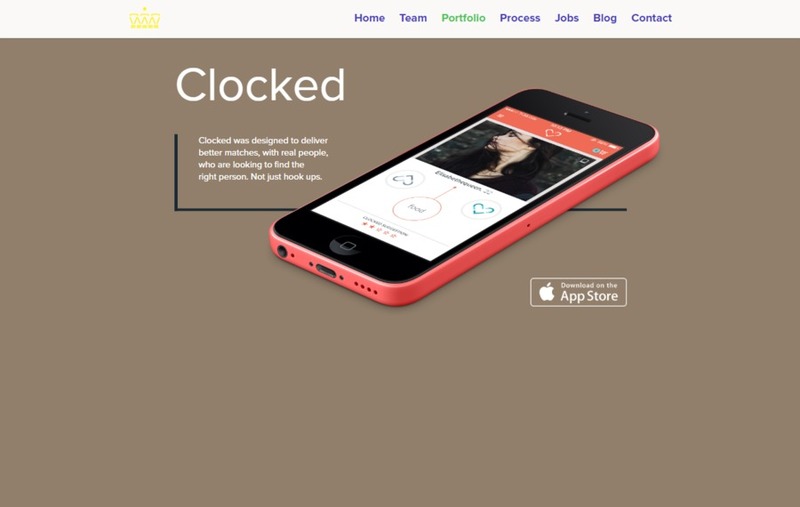 The image shows how Clocked's interface looks like - for more go to the App Store and see for yourself, cause UI is only a part of UX, and the one we provide is awesome.